It doesn’t make sense. The character has supportive friends and family. The environment is nurturing and providing opportunity. No nemesis stands in the character’s way. Yet your character doesn’t budge. So why is your written paradise not enough? You recognize that your character needs to change. Even those close to the character see the problem. But does your character get it? Other players in your story can shout about it, spell it out, and even try dragging your character towards the solution, but it’s no use. The horse isn’t going to drink the water. If you want your character to change, your character must want it too. S/he needs to recognize that there is a problem and is ready to tackle it. Meet the Four Stages of Competence. This four-phase process shows our evolving learning process, from denial to determination. So at which stage does your character choose to linger? Your character doesn’t know how to do something, be it a skill or facing an emotion. S/he doesn’t even recognize that a change is needed. Denial is your character’s middle name, especially when s/he recognizes the incompetence yet doesn’t want to change. Your character will resist, even if others present indisputable arguments in favor of change. Your character may be in this stage forever—or what seems like forever. Only when the character desires to change does s/he leave this stage. Hooray! Your character (finally) recognizes that it’s time to change and actually wants to change. But it’s another battle now. Mistakes will be made. Insecurities may arise. Frustration replaces denial. Your character’s patience and determination in mastering this skill determines how long this stage lasts. Your character crosses the finish line. S/he is now a master of the skill. Your character can perform the skill—with headache-inducing concentration. Your character may even reference written-out steps. Don’t worry. This stage will fade as your character practices the skill. This skill is no sweat to your character. It’s second nature. It can be done in your character’s sleep. You’ll really know when your character reached this stage when the skill is in his/her multi-tasking shuffle. Your character probably can teach it too. Truth is that the story is probably over long before your character reaches Unconscious Competence mastery. But knowing where and why your character is stuck is half the battle. So what situation would get your character to get it? What needs to happen externally and internally for your character to recognize the problem and want to seek a solution? Journal about it. Once you locate the knot in your story, you can untangle it. Why is your character stuck? Share your story below. If you’re struggling with plot structure, take a playwriting class. One of the first things you learn, before stage directions and sharpening dialog, is developing a plot. It boils down to this: Character One wants A, Character Two wants B. A and B oppose each other, so Characters One and Two compete until a character wins. I’ll put it in story terms. The protagonist wants to save his family. The antagonist wants his family locked up in prison for the rest of their lives. These wants oppose each other, so the protagonist and antagonist compete against each other until the family is saved or the family is locked up in prison for the rest of their lives without any threat of being released. The character does not need to save his family. The character does not have to save his family. The character wants to save his family. Despite dictionary definitions, want and need are not the same thing. Need is a requirement for survival. A club needs members in order to survive. Your character needs food, water, clothes, and shelter in order to survive. 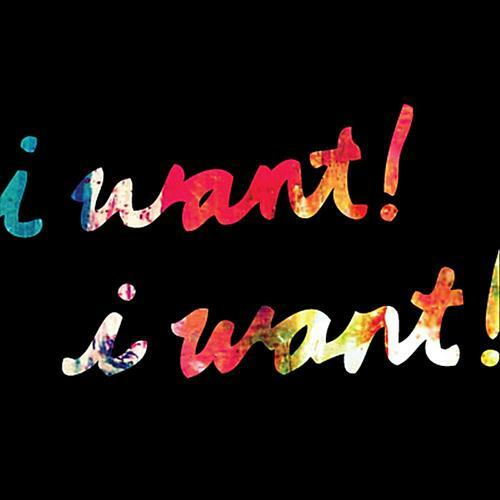 Want means to desire, to value, to hunger. When a character wants, he aims to improve the quality of his life. He wants to save his family because his family’s survival increases his quality of life. Shouldn’t a character save his family because it is the right thing to do? A character is motivated to work harder and endure more hardship when he’s invested in the goal. A character’s motivation cannot come from outside himself. It must be a want from within. Simply put, your character must be selfish. And selfish is not a bad word. Selfish means for oneself. It doesn’t mean only for oneself and it doesn’t mean harming others in order to gain for oneself. There’s another word for that: greed. This may seem contradictory to what happens in many stories we read or watch. Characters proclaim it-is-the-right-thing-to-do this and it’s-not-for-myself-but-for-everyone-else that before charging into battle. But pay close attention not to what the character says but on what he does. When he saves his family, does he really do it because is it the right thing to do? Is he really saving his family selflessly and only for them? Look at his actions. How passionate is he about saving his family? How does he feel about saving his family? How invested is he in saving his family? That’s a person who wants to save his family. That’s a person acting selfishly. That’s a person who acts from within. So how do we choose sides? What makes a protagonist and what makes an antagonist? It’s a battle between selfishness and greed. A protagonist’s actions are selfish, while the antagonist’s actions are greedy. An antagonist resorts to dishonest actions that harms and misleads others into cooperation. Because it is morally correct for our actions to not harm others, a greedy character becomes the enemy. It’s okay to want to like and dislike a character in a story. It’s okay to selfishly cheer on a character. It’s okay to want a character to succeed from within yourself. You and your character have something in common: you both want.